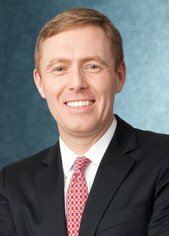 Tom Walsh is special counsel at Sullivan & Cromwell LLP’s litigation group and deputy coordinator of the firm’s international arbitration practice. Mr Walsh’s practice is focused on complex international arbitration and litigation matters, and management of multi-jurisdictional crises and disputes. He has served as counsel in numerous arbitrations and litigations in US federal and state courts involving parties from Latin America and around the globe. He also has served as counsel in a variety of confidential regulatory and internal investigations.